“Are you happy?” may seem a curious question to pose to an information worker today. “Happy! Yeah right. I’m just glad I still have a job,” is a likely retort. But experts on workplace issues caution that today’s spiralling employee dissatisfaction shouldn’t be glossed over. If not addressed soon, it can have serious repurcussions on overall morale and productivity, they say. 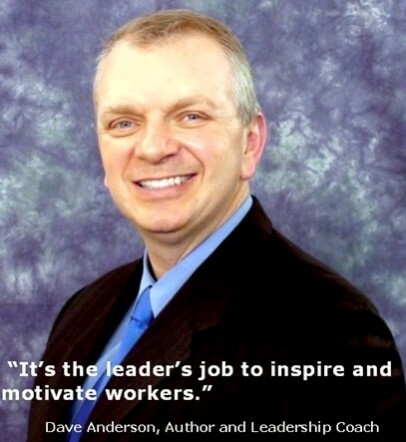 “It’s impossible to create a healthy, productive company with unhealthy employees,” said corporate success coach Dave Anderson in an interview with ITBusiness.ca. A prolific author and speaker, Anderson has written 10 books on peak performance, and conducted scores of workshops in more than 13 countries. Several studies indicate reveals that over the past year workplace dissatisfaction in North America has reached alarming levels. Stress levels across Canada in 2009 were about 30 per cent higher than they were a year earlier, according to the Canadian Mental Health Association (CMHA). A study by Desjardins Financial Security study conducted last year provided some more distressing numbers. A third of the 1,062 people surveyed said they were more stressed than a year ago. “They’re anxious, worried about their jobs,” the Desjardins release said. And this anxiety appears to be eroding their physical health and well being. About 30 per cent of employees across Canada are losing sleep, and/or suffering from headaches, muscle aches and other physical tension-symptoms which often precede more serious problems, the Desjardins study noted. Employees identified concerns about money, workload and job security as the most stressful aspects of their lives associated with their employment. “Clearly, many employees have lost confidence and this is showing up in all kinds of ways that could lead to more serious mental health problems down the road,” said Taylor Alexander, CEO of the CMHA’s National office in a statement. The CMHA is calling on all employers, in both the public and private sectors, to broaden access to and funding for mental health programs in the workplace. As many as 32 per cent of workers in Canada report low co-worker support, according to a 2009 Health Canada study (Environmental Scan on Workplace Health in Canada). Among IT workers the problem seems particularly acute. The latest survey by the Corporate Executive Board, a Washington-based advisory firm, shows the willingness of IT workers to “exert high levels of discretionary effort” has plummeted to its lowest levels since the survey was launched a decade ago. The survey uncovered sharply declining motivation among IT employees to put in extra hours to solve a problem, make suggestions for improving processes, and generally seek to play a key role in an organization. He said the recession has caused many corporate leaders to adopt attitudes and behaviours that erode employee morale. Disengagement and passivity are other destructive coping mechanisms some managers have adopted, Anderson said. At the other end of the spectrum, micromanagement is another destructive practice. Some experts say this is a common error committed by managers whose teams are measured and compensated based on set targets – such as sales professionals. But when managers start nitpicking and breathing down people’s backs, he said, it can be terribly demoralizing, especially for top performers. “These people are motivated by latitude and discretion. They want to be able to make decisions and to be able to solve problems when they see them. So what may leaders to get themselves and their teams of this cycle of fear, uncertainty, doubt – and unhappiness? What steps should they take to put the spring back into employees’ steps, and the shine in their eyes? How may they get their people excited about their firm’s core values that are often forgotten in tough times — and create a common, compelling strategy for pursuing them? Anderson suggests four specific steps leaders may take immediately to achieve all of the above. Celebrate singles — This baseball analogy, the success coach says, is particularly apt to describe what leadership should look like during a downturn. Set short-term goals — There’s a broad consensus among business consultants that longer term goals are less relevant during a period of uncertainty, because it’s difficult to predict economic trends and how they will affect your business. From a motivational perspective too, Anderson says, shorter-term goals work better. He said chunking things down into daily goals actually gives people a sense of accomplishment and makes them feel more in control of their destiny – one day at a time. Setting shorter-term goals or daily campaign targets is very different from micromanaging, Anderson clarified. But while employees, especially the productive ones, should be give latitude to try new things, there are some things that the leader can’t delegate. “Defining direction is one of them,” said Anderson. “The leader should never apologize for letting people know exactly what he or she expects and when.